This post is written by Maryvonne Devensky, chairperson of the Suwannee-St. Johns Group of Sierra Club Florida. She is a lifelong advocate for environmental education and resident of Florida for nearly 30 years. It is reposted from the Gulf Restoration Network's blog at http://healthygulf.org/blog/. A year ago, I became the chairperson of the Florida Suwannee-St Johns Sierra Club (SSJ). SSJ has members covering 15 counties from Suwannee, Hamilton, Baker, down to Marion, Citrus and Levy. When I moved to Florida in 1979 it seemed that the state was on the brink of a solar revolution. Over the years I’ve seen this momentum diminish, and recently natural gas has threatened the state's renewable energy future. I’m not dead yet, and until then I’m going to fight for Florida’s next generation. 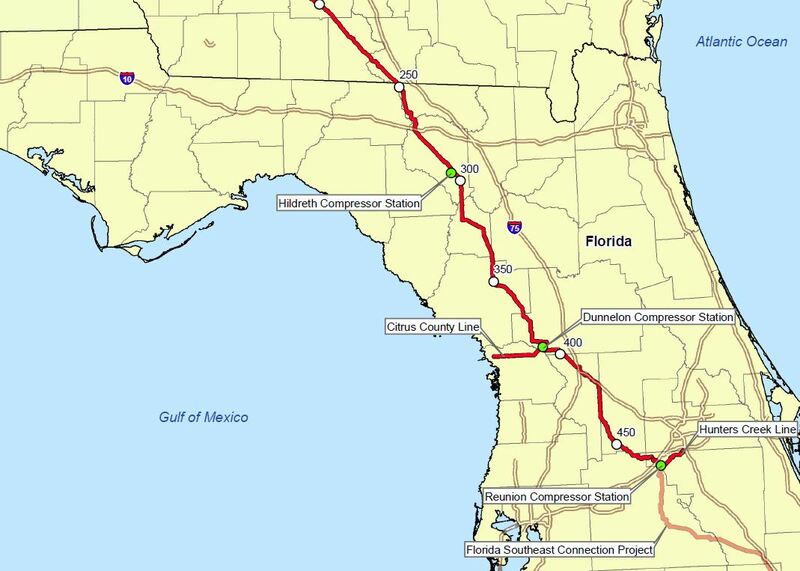 The proposed Sabal Trail Pipeline would wind from Alabama through southwest Georgia to Central Florida, bringing 1 billion cubic feet per day of natural gas to just south of Orlando in Osceola County. 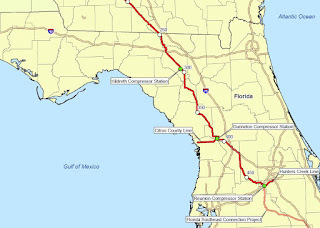 From there it would also transport gas to Florida Power & Light’s Riviera Beach and Port Everglades plants, crossing 13 counties and 255 miles in Florida. In November Johanna de Graffenreid, of Gulf Restoration Network, contacted me. She was reaching out to groups on the ground in Florida who would be impacted by this dangerous project. Children and families frequently visit the springs and river crossings along the proposed route. She discussed how an explosion, even in these rural areas, could threaten the safety of my neighbors. I’m not a geologist but karst is like swiss cheese. It doesn’t take an expert to know building a pipeline through it is dangerous. Working quickly, our Suwannee Sierra Club members attended the next meeting by the Suwannee County Board of Commissioners. That night, the room was packed with Suwannee County residents, farmers, business people and members of Sierra Club Florida, Gulf Restoration Network and WWALS Watershed Coalition. For several hours, we shared our deep concerns with the Commission on this dangerous pipeline project. Raising serious issues including: threats to the Suwannee river and various springs in the area, fragility of karst geological system, impacts on natural areas,water resources, and road systems, and disrespect for private property rights. Not a single person spoke in favor this project. Momentum was building, and fast, but we knew we needed more pipeline fighters in 2016 to win. We hosted a community event and to our surprise, dozens of community members participated! Chris Mericle, an expert on karst geology and a WWALS board member, showed us maps of sinkholes adjacent to the proposed pipeline route. He then took a moment and pointed out the errors included in Sabal Trail’s permit. On a hike following the wooden pipeline markers we saw, first-hand, the active sinkholes found directly next to this highly pressurized fracked gas pipeline route. We plan to take action and continue outreach along the route,, ensuring that landowners are aware of the hazards this pipeline poses to their property, safety and drinking water. We must ensure that our elected officials hear the truth about Sabal Trail, and we need your support. Do you want to protect our rivers, springs and communities from this dangerous project? Do you believe that a clean energy future is possible for Florida? Take action now and join us in stopping the Sabal Trail Pipeline.